Lotusphere 2012 is a big event for Trilog (our sponsors), and for social project management for the enterprise. 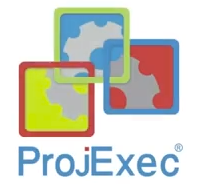 ProjExec is being featured at the conference, and will be demoed in several large sessions. Projexec 5.1 is ready for delivery, and provides a full social project management solution for IBM Lotus Quickr and IBM Connections organizations, as well as ProjExec Live – the social project management solution embedded into the IBM LotusLive cloud platform. But for those new to it, what IS ProjExec? ProjExec is a powerful social project management solution that seamlessly extends your chosen IBM Lotus collaboration platform. Social project management merges the power of online and open collaboration tools with the rigorous and robust tools that project managers require. ProjExec helps projects teams and their organizations get work done by getting people engaged, accelerating information sharing and making work observable across the enterprise social network, all while managing and guiding work based upon a real project plan. ProjExec includes the Project Wall – a shared project activity stream that gives a voice to everyone in the project community – from team member to project manager to partner or stakeholder. Contributions to the project community become a living project history that is visible to all. With a design purposefully similar to the Facebook user experience, the Project Wall empowers user engagement while ensuring that security and business constraints are managed with equal importance. Calendar integration – personal work management with project tasks fully integrated with Notes calendar. ProjExec makes even progress reporting a social experience with one click update of task progress from the Project Wall, your email, mobile device or – enterprise portal – to keep project status up to date simply and efficiently. Just one click will update task status with automatic roll up and instant consolidation of project portfolio views. Exception-based management and alerts help identify at a glance when anything is veering off plan so prompt corrective action can be taken. Social project management doesn’t mean sacrificing the robustness and rigor of professional project management. ProjExec is first and foremost an industrial strength project management solution. With ProjExec there is no rip and replace for project management professionals. Compatibility with existing PM tools – complete bi-directional integration with Microsoft Project and other popular PM tools. Scalable and secure – scales to accommodate large waterfall projects with thousands of tasks and users. Embedded professional PM tools – visual Gantt editor, Resource management and Financial management modules ensure that ProjExec 5.0 is .complete and robust project management. Cross-organization resource management locate qualified and available resources with seamless integration with Lotus Connections. ProjExec lets you achieve repeatable success by supporting knowledge reuse and process improvement. Reusable project templates and the highly configurable design enable organizations to execute projects better and smarter using time-tested and rigorous project management methodologies fully integrated with a social collaboration dimension that fosters innovation, promotes participation, knowledge sharing and smarter collaboration. In a recent study to determine Web 2.0 ROI, McKinsey found that Web 2.0 promotes significantly more flexible processes at internally networked organizations: respondents say that information is shared more readily and less hierarchically, collaboration across organizational silos is more common, and tasks are more often tackled in a project-based fashion. This highlights the strategic value of social project management as a key accelerator for social business adoption and value creation. Social project management is the next wave in project management and delivery. If you are an IBM Collaboration customer, ProjExec is your path to Social Project Management for the enterprise. Social Project Management – help to make sure your Enterprise Social Implementation doesn’t fail. Leading up to Lotusphere 2012, we are posting a few “core” concepts about ProjExec and Social Project Management. There’s a lot of talk out there about the failure of enterprise social implementations, and it’s unfortunate. Until a short time ago, it actually took a pretty visionary company to look to enterprise social solutions. However, as we’ve posted before, simply putting in a large, integrated social platform like Jive SBS or IBM Connections will not drive adoption. Rather, until there’s a reason to use it, most people will only do the minimum that they need to in the platform to keep management happy. Laurie Buczek identifies the key reason that enterprise social has failed – it hasn’t been integrated into the workflow. We noted before that the next big thing in social will be the integration of social software into the workflow of the company. When people do their work on the an application that is part of the social platform, they will begin to integrate that platform into their work. Mindful employees will identify new and better ways to do other processes, as they experience the power of the social-enabled workflow processes that the company provides. Project management is a perfect process to integrate into a social platform, and to drive social adoption. Project teams are often spread across multiple units of an organization, which allows for the technology to be exposed to a wide audience quickly. Because large project teams are often distributed, the benefits of a social platform are more obviously observed, and adopted by people. ProjExec provides social project management capabilities for the IBM Collaboration product family: IBM Lotus Quickr, IBM Connections and IBM LotusLive. Tomorrow, we will discuss how ProjExec helps project teams to get projects completed.